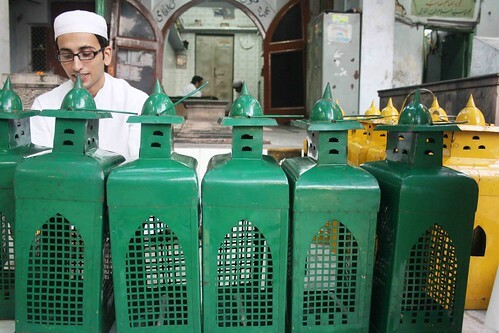 The Delhi Walla was one evening resting in the shrine of 14th century sufi saint Hazrat Nizamuddin Auliya. It was the hour of Dua e Roshni, when the day meets the night, a moment considered especially auspicious to seek blessings from the saint. 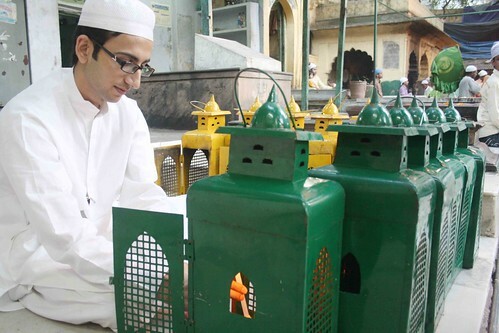 The October air was mildly chilly and Syed Altamash Nizami, a dargah khadim clad in snow-white salwar kurta, was lighting prayer candles that were fitted inside green-coloured lamps. 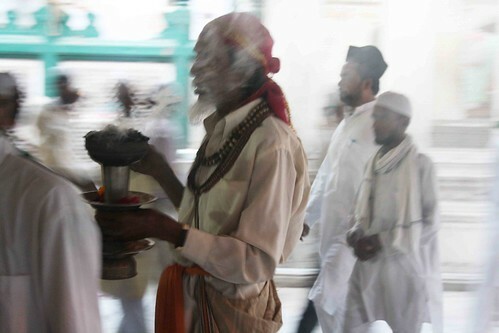 In the courtyard, a devotee, with a wad of Rs 500 notes stuffed tight in his palm, was asking the saint for his family’s happiness; a sufi ascetic was perfuming the air with the vapours of loban incense. Inside the saint’s tomb, a frail old man was preparing to kneel in submission. 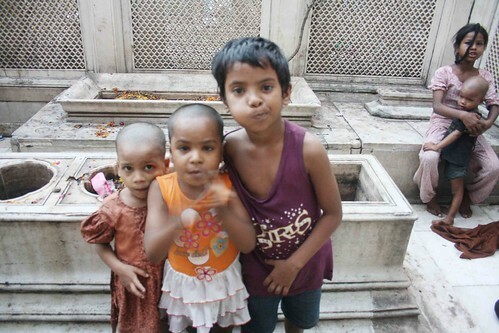 Across the courtyard, in the open-air tomb chamber of Mughal princess Jahanara, five children were playing around her austere grave. 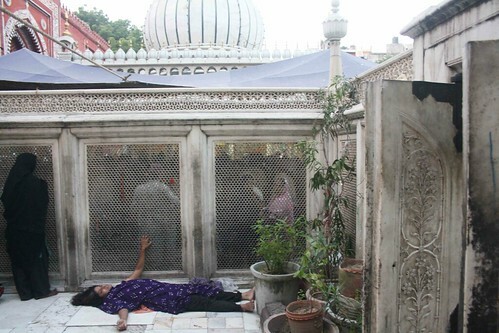 On entering the adjacent tomb of Mughal king Muhamamd Shah Rangeela, I saw an incredible sight. 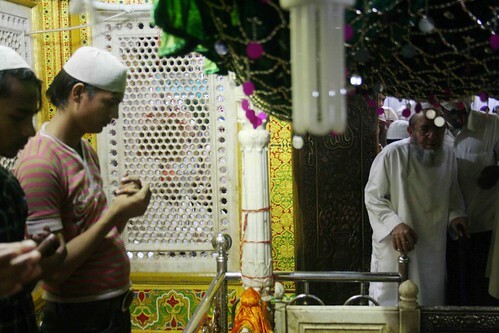 Two women were praying against a stone screen, which looks to Hazrat Nizamuddin’s shrine. The third woman was lying on the marble floor; her hair wild, her eyes closed, her lips shivering, her arms flung apart. She was in a state of ecstasy. It was a beautiful moment. Beautiful pictures. Mr. Nizami has a great aura of his own. are you sure she was in a state of ecstasy? she could have been having an epileptic fit? well, epileptic fits at holy places is a state of ecstasy more or less.. 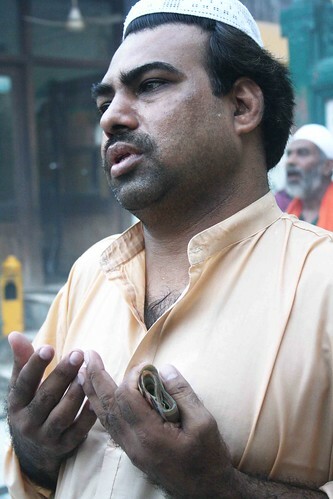 I know the person, Altamash, the dargah khadim very well who is lighting the candles inside the dargah. Nice place to be in. I find spiritual peace over there. Good Article by Mayank A Soofi.